The variety "Arkin" is the most successful cultivar commerce to date because it is firm and compact helping withstand picking, packing and shipping stresses. The main characteristic of this variety is its medium size with an approximate weight of 0.2-0.4 lb. It has very sweet juicy firm flesh with few seeds. The fruit's low acidity and appealing flavour make it more popular with the consumer. Carambola or Star Fruit is a tropical evergreen tree native to Java and Southern Asia. Its height varies from 3-5 m (10-16 ft), with leaves of 8-18 cm (3-7 ") along the stems and short inflorescences. The fruits grow in bunches all over the tree, its shape is a star of 5 points, elliptical, 10x5 cm (4x2 "), yellow-orange when rip. 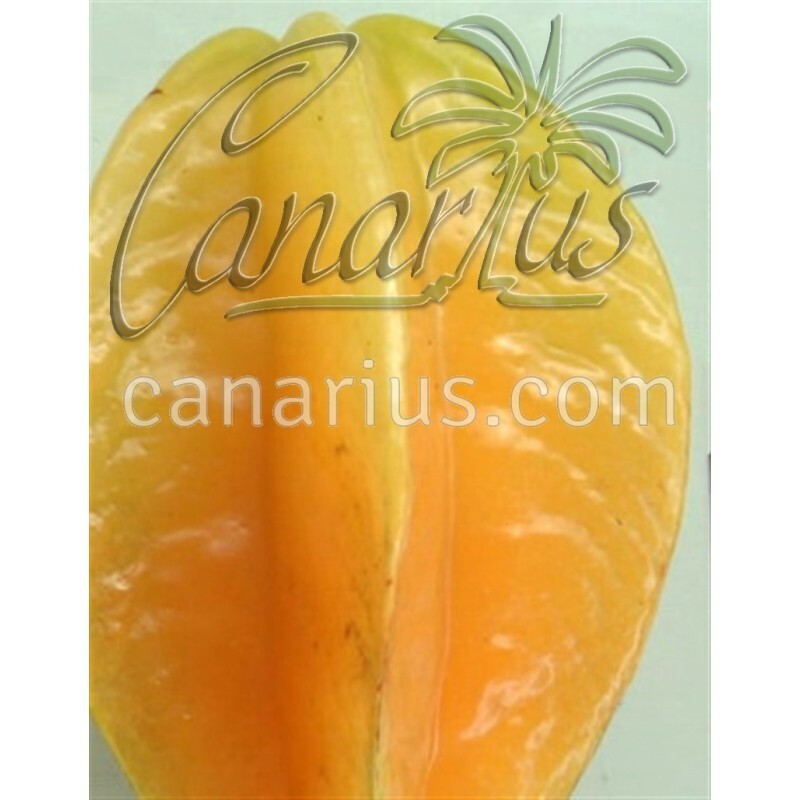 Averrhoa carambola has a thin and waxy skin, with a mild, sweet to acid flesh that is translucent, succulent, soft and crisp. It is available from mid-summer to mid-winter, mostly eaten fresh or in fruit salads and as garnish. Less ripped fruit is best pickled and used in preserves and chutneys. Contains vitamins A and C, phosphorous and potassium. We ship worldwide plants of variable height, 40-80 cm tall. We will always try to select a robust potted plant for you, compact enough to fit in the box. Carambolas are fast growers. Sometimes they are too tall, even above 1 m . We will prune them to a reasonable size of about 50-70 cm (including pot). They might look a bit ugly but they have good stems and will soon sprout new growth. Carambolas can shed leaves for a short time in winter-spring, so don't be scared if the tree is leafless in these months. 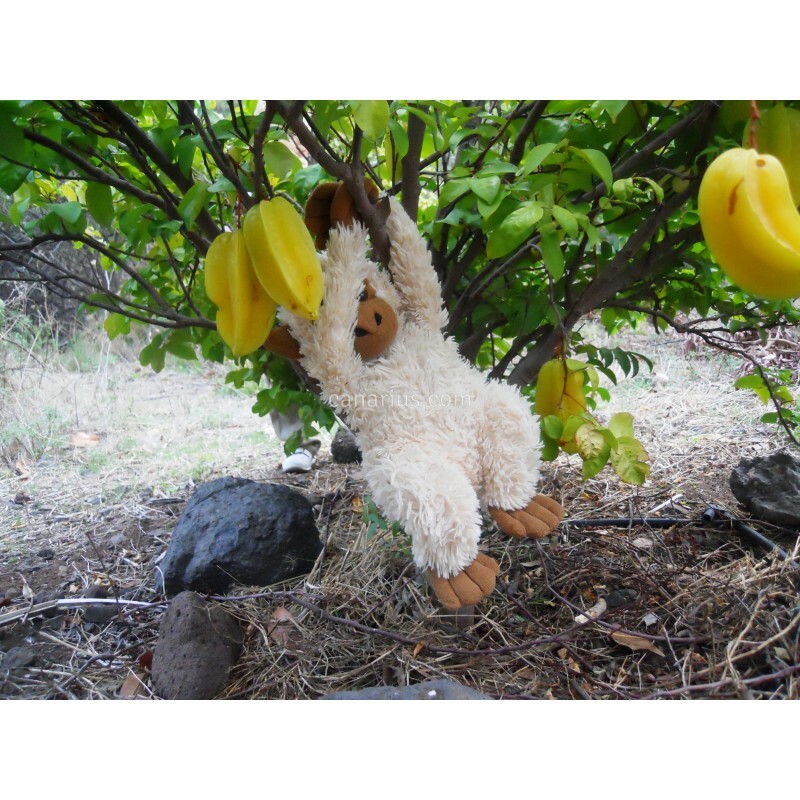 Visit THIS LINK and see pictures of our fruit trees on the packing desk - learn more about what we ship, including carambolas !